Unvaccinated calves during their first grazing season and in the absence of an appropriate parasite control programme are most at risk of lungworm infection this August, according to the NADIS Parasite Forecast, which is sponsored by Merial Animal Health. 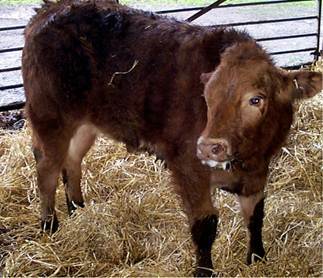 Older cattle are however also susceptible, as the period for lungworm infection peaks, it says. “Frequent coughing, even while resting, is the most common indicator of lungworm infection. If left untreated, most cattle will quickly develop clinical signs,” explains Lynda Maris, Brand Manager at Merial Animal Health. The Parasite Forecast also predicts that the incidence of type 1 Ostertagiosis in cattle will be highest during August and September. Ostertagia causes acute, profuse, diarrhoea with affected animals rapidly losing weight and body condition. All cattle in the group should be treated with an effective anthelmintic immediately signs of infection are detected. Where weaned lambs must remain on pasture grazed by sheep this year, further pasture contamination can be limited by the use of anthelmintic treatment. This should help to ensure lamb growth rates are not hindered. Farmers should consider regularly weighing lambs to identify individuals which may be struggling due to worm burden and use targeted anthelmintic treatments to treat only those that require it. Targeted anthelmintic treatments can avoid unnecessary treatments (up to 40% on average), save money, and reduce the selection pressure for resistant strains of worms. Remain alert for blowfly strike in flocks while the warm weather continues. The risk of flies and lesions will remain throughout August, with a lesser risk to sheep which have been shorn. Control of PGE and subsequent scouring will also help to minimise the risk of fly strike.